This series targets your glutes and hamstrings. 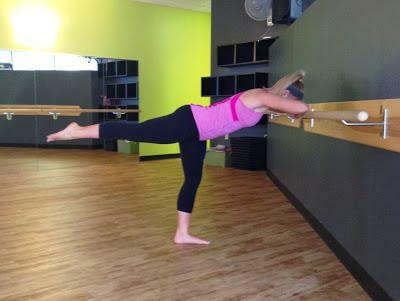 To Begin, place your forearms on the barre and your forehead right on top of your hands. Make sure you are pulling your shoulder blades down away from your ears and you are engaging through your abdominals. Keep a soft bend in your standing leg. Then, tap your right foot back behind you. 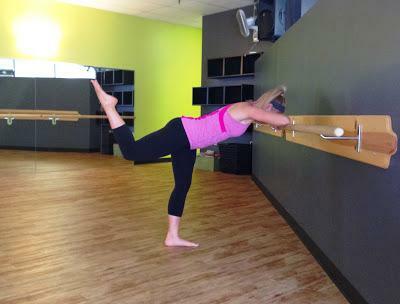 Lift and lower straight leg 16x's focusing on squeezing your glute and hamstring as you lift the leg. Hold leg up and pulse for 16. Next, draw small circles with your big toe about the size of a quarter in both directions 16x's. Finally, bend the leg, pointing the toe up towards the ceiling. Pulse with a bent knee 16x's making sure your right hip bone stays pointing down at the ground. I hope you enjoy! 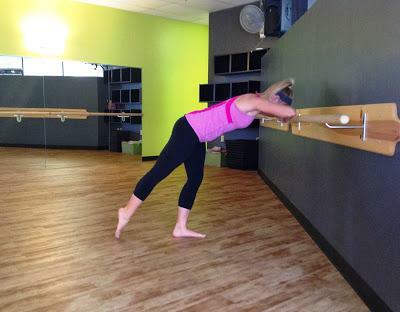 I'm off to run a few errands before my last barre class of the day! I hope you all have a happy healthy Wednesday!